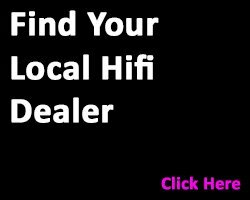 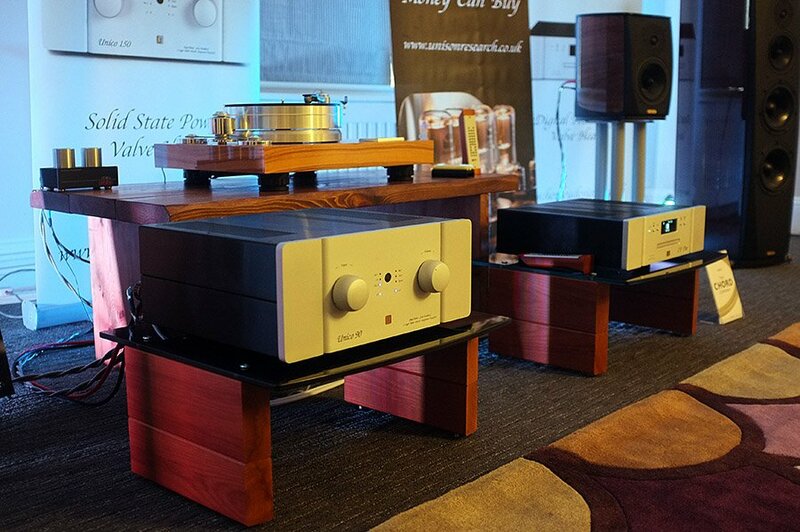 At Hifi Pig we know that readers don’t want to be kept waiting for reports and photographs from the Hifi shows we visit and so without further ado here is part 2 of Stuart’s show report, with his final report following tomorrow. 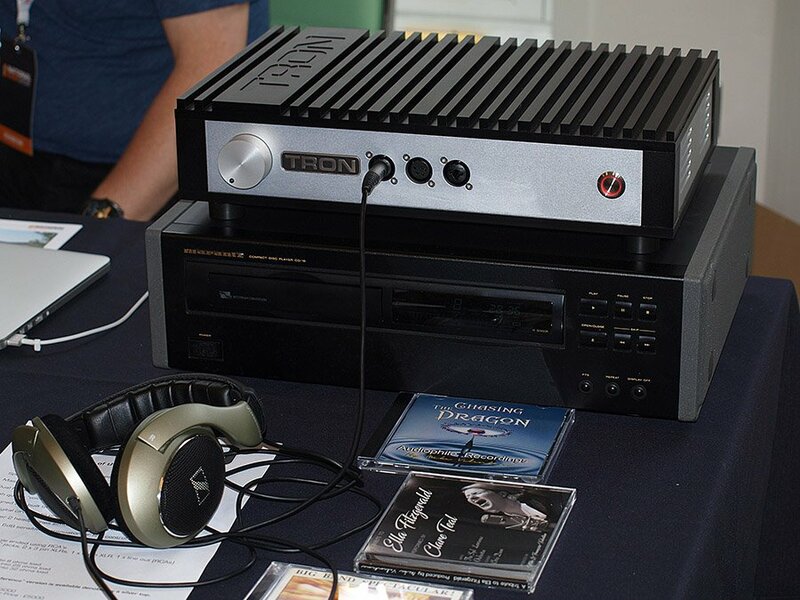 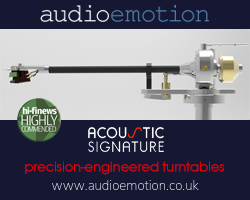 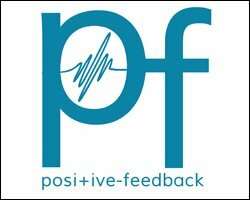 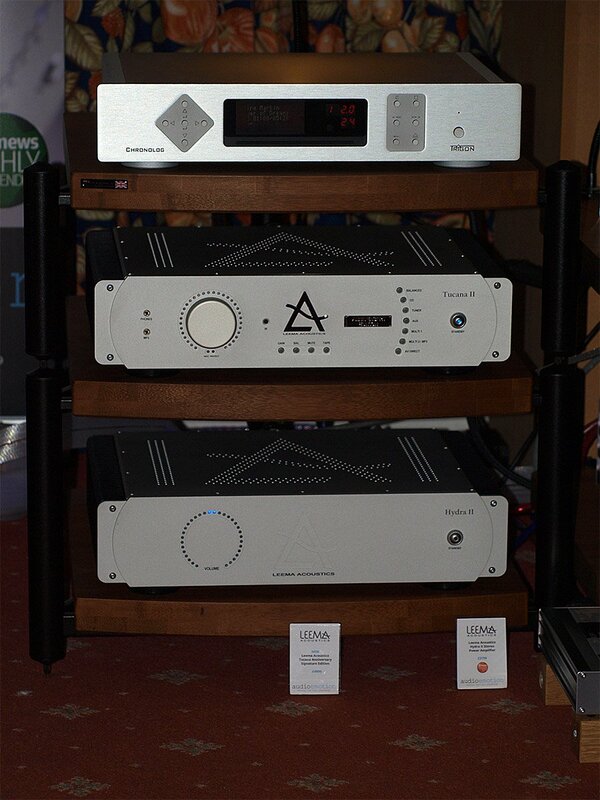 In part two of Hifi Pig’s coverage of the National Audio Show 2016 at Whittlebury we focus on Choice Hifi and Analog Domain, Roksan Audio, Henley Designs #1, Henley Designs #2, The Audio Consultants & German Physics, Audio Emotion, Chasing The Dragon, CODE, Russ Andrews, Arendal Sound, Teddy Pardo, Fanthorpes. 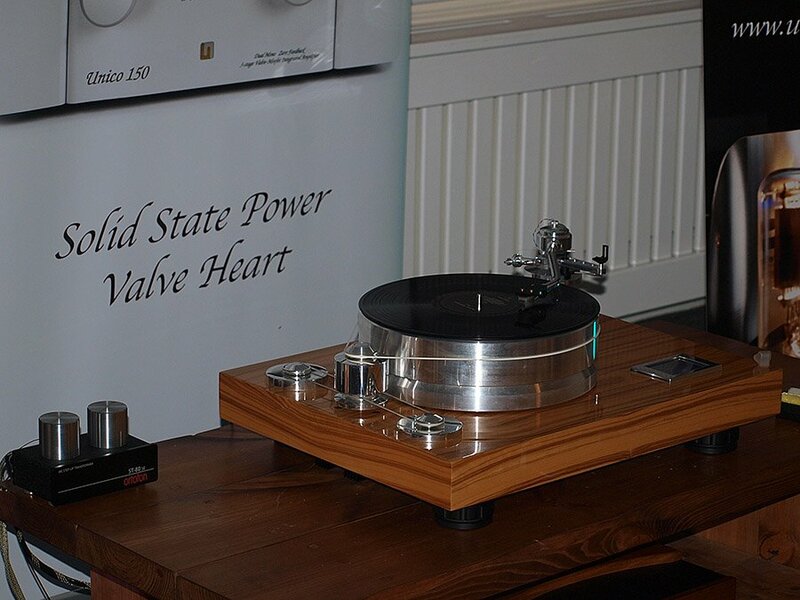 At the front end of this rather nice sounding system was a SME Model 15 turntable; whilst at the loudspeaker end were a pair of Estelon Model XC loudspeakers. 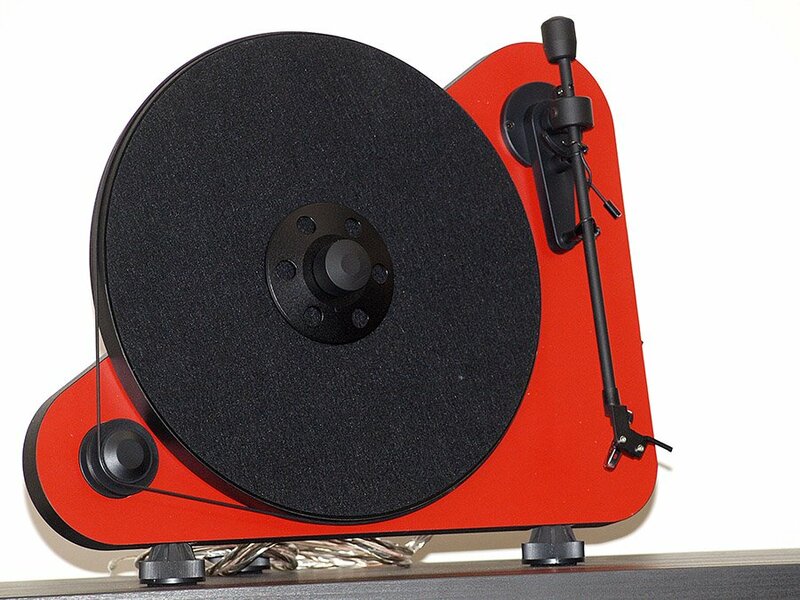 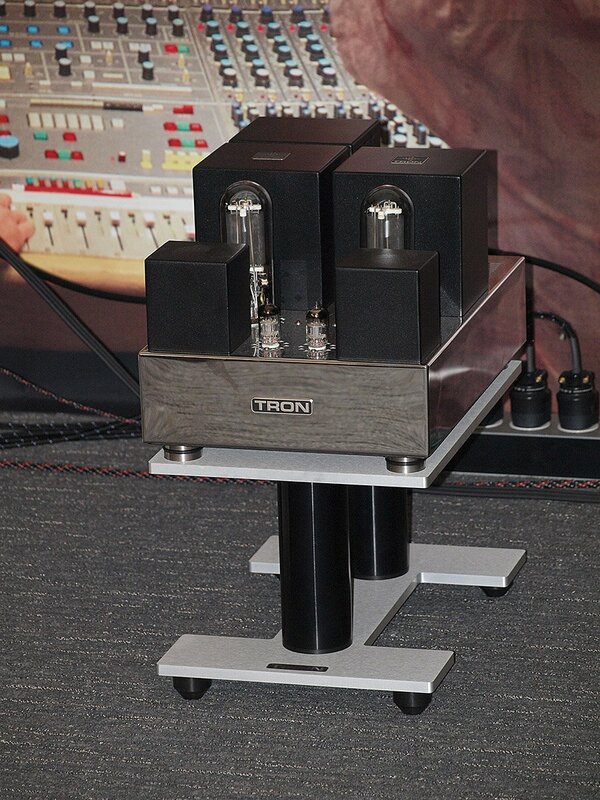 Phonostage was a Tom Evans The Groove + and the CD was a belt drive model BDCD1.1 from BMC Audio. 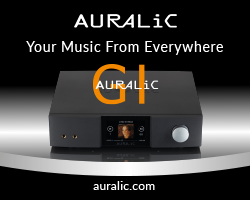 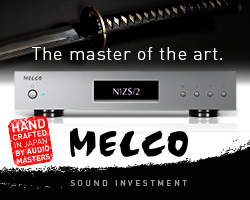 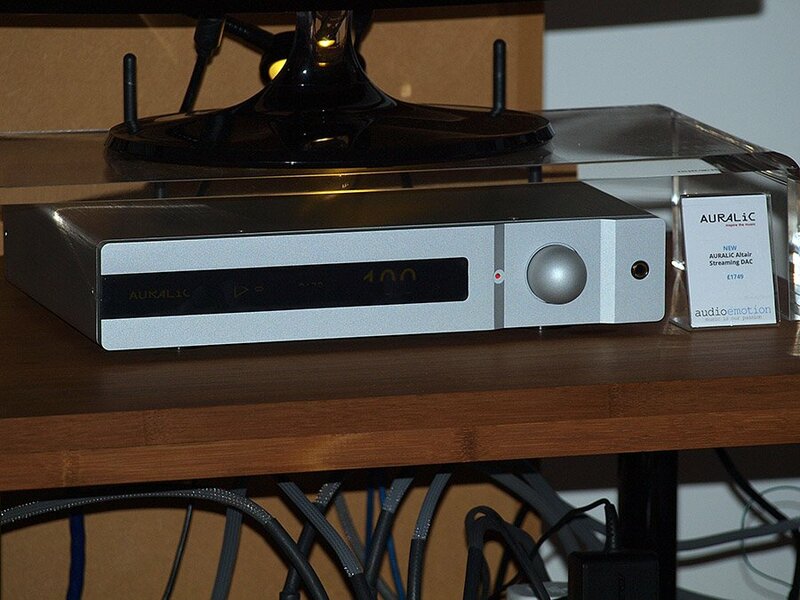 Again Analog Domain Isis amp and preamplifier combo were duly noted and a Melco unit was also in evidence. 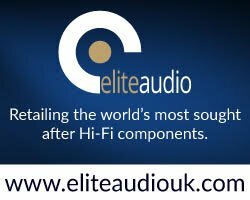 There was a whole load of Entreq ground boxes in evidence too and whilst I’m wary of this kind of product in the main, the whole lot came together very well indeed to offer up an unforced and natural sounding system. 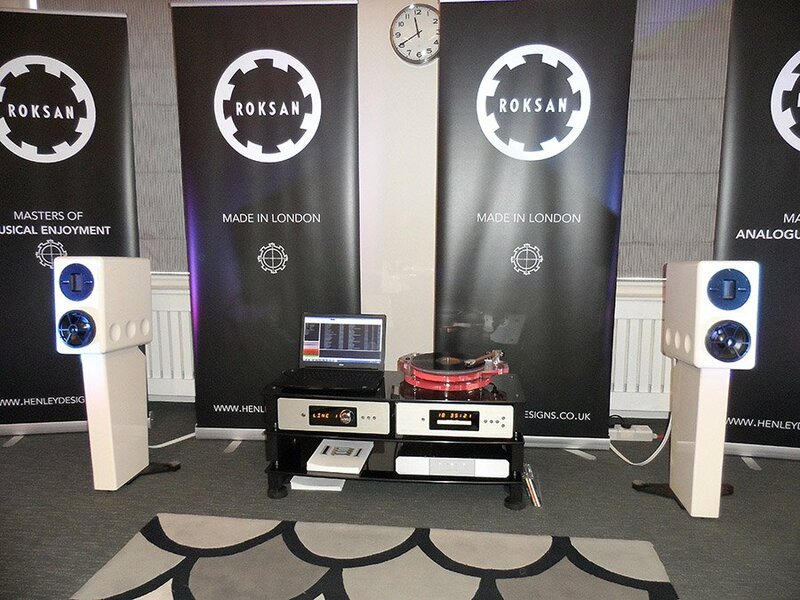 Roksan put on a great room at this year’s National Audio Show and I still love the Darius S1 loudspeakers with their exceptional ribbon tweeter. 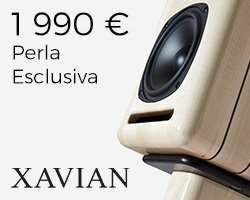 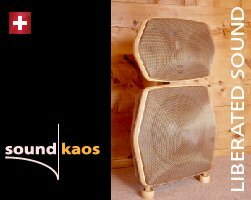 As I said in the room, these would be on my shortlist for reference loudspeakers if I didn’t have the much more pricey Avantgarde Duo XDs. 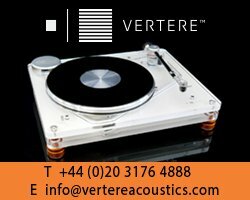 Today the speakers were being driven by the company’s new BLAK range of electronics and there was a special edition Radius turntable in pink. 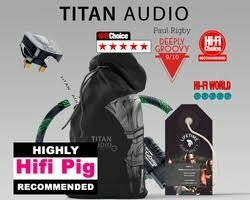 I’d have liked to say this was a nod to Hifi Pig and our penchant for pink, but, as Simon Pope who deals with this British company’s PR explained it was pink for a much more important reason – a percentage of all sales will go to breast cancer charities. 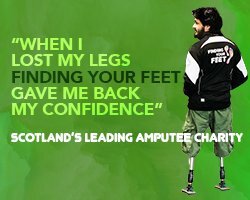 What a great idea and what a great cause – well done Roksan. 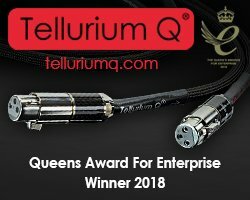 Highlight of the show for me was whilst about to end the day with a well earned pint in the bar, Tufan, the owner of Roksan, ran over to us and embraced us. 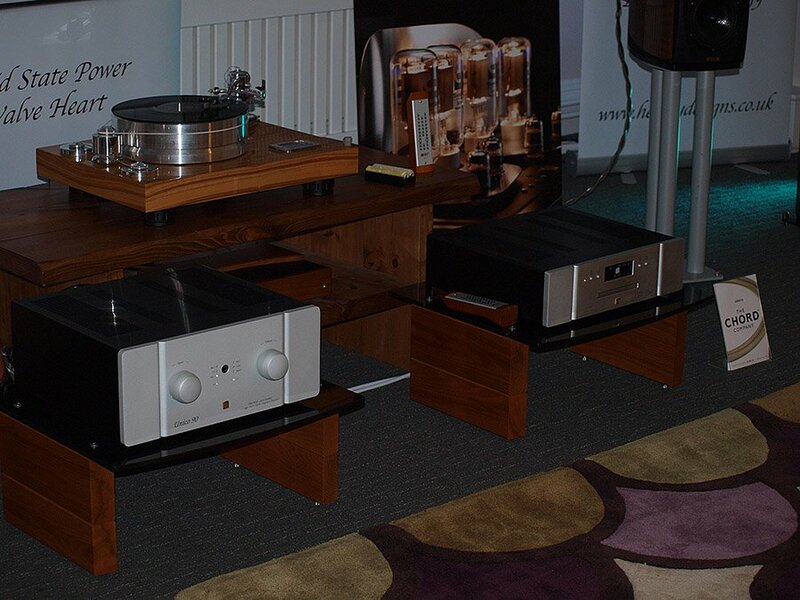 Needless to say we enjoyed a bit of a natter and a couple of ales. 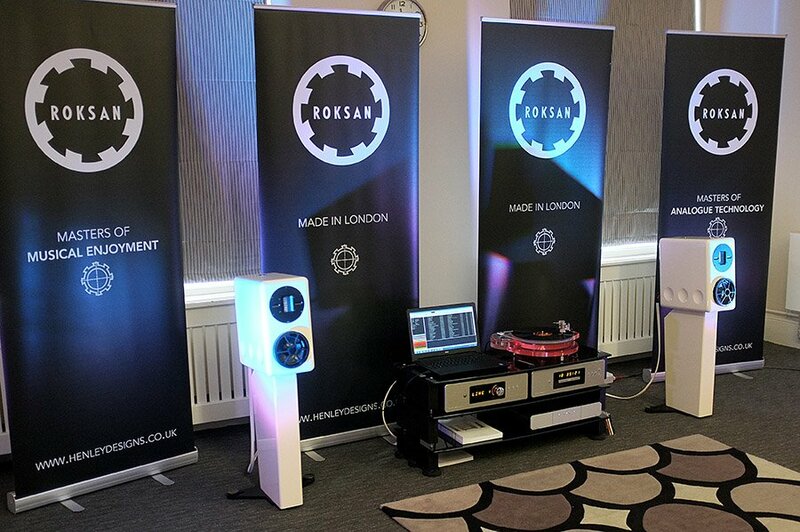 The visual impact in the Roksan room was brilliant and the branding is just so strong it’s hard not to sit up and take notice. 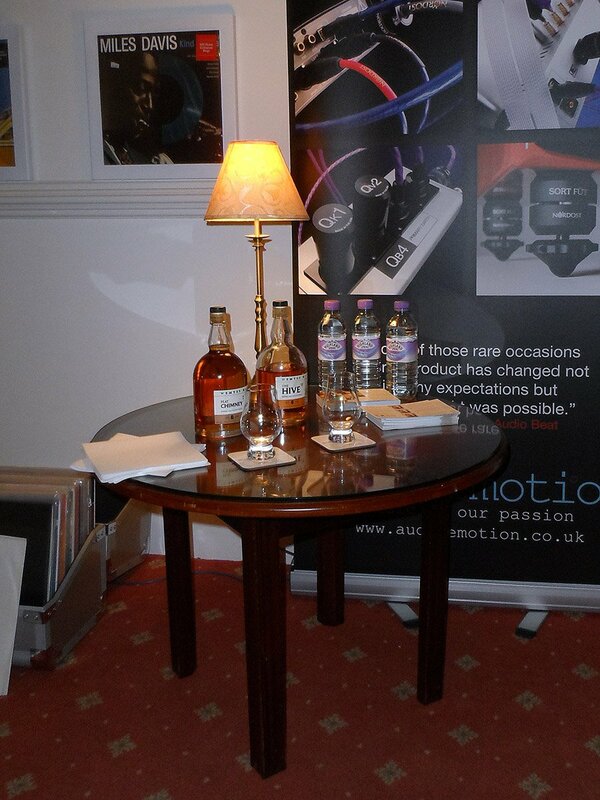 Actually this is Henley’s second room strictly speaking as the Roksan room was also theirs. 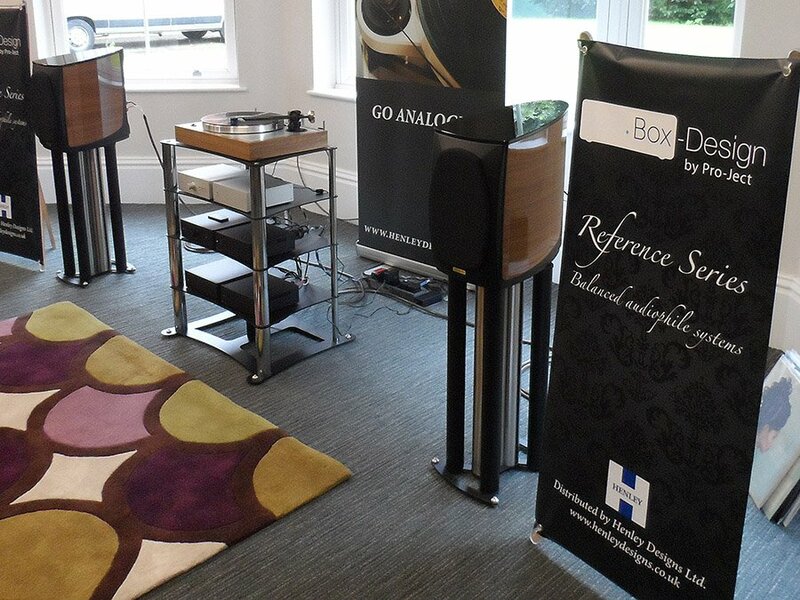 In this room Henley Designs were showcasing the Unison Research brand from Italy and Opera speakers. 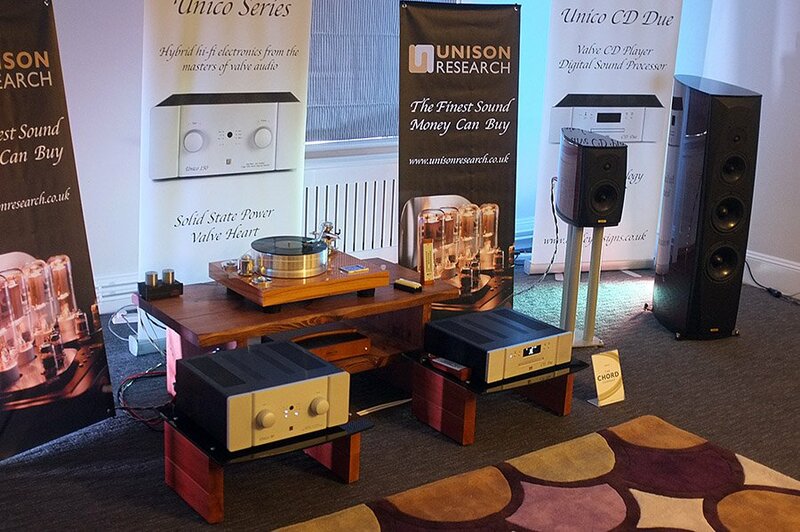 Having owned Unison research in the past I can heartily recommend the brand! 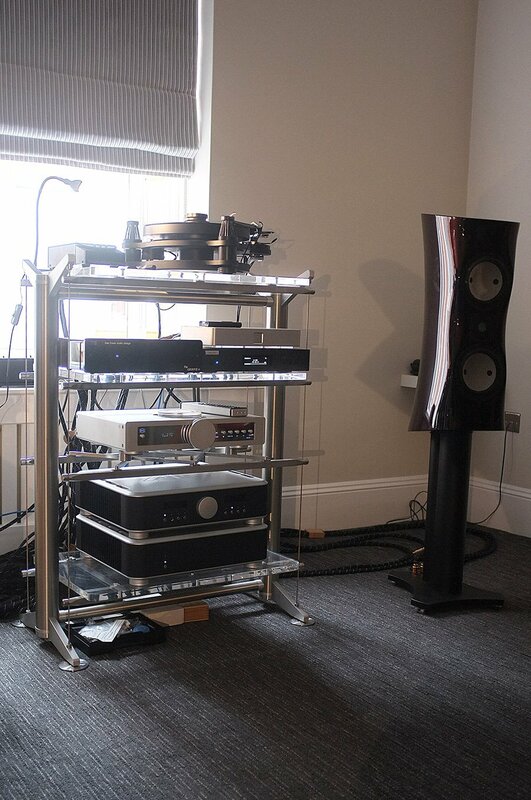 Today the electronics included a Unico amplifier, CD Duo, Opera loudspeakers, also Italian and a ProJect Signature 12 turntable. 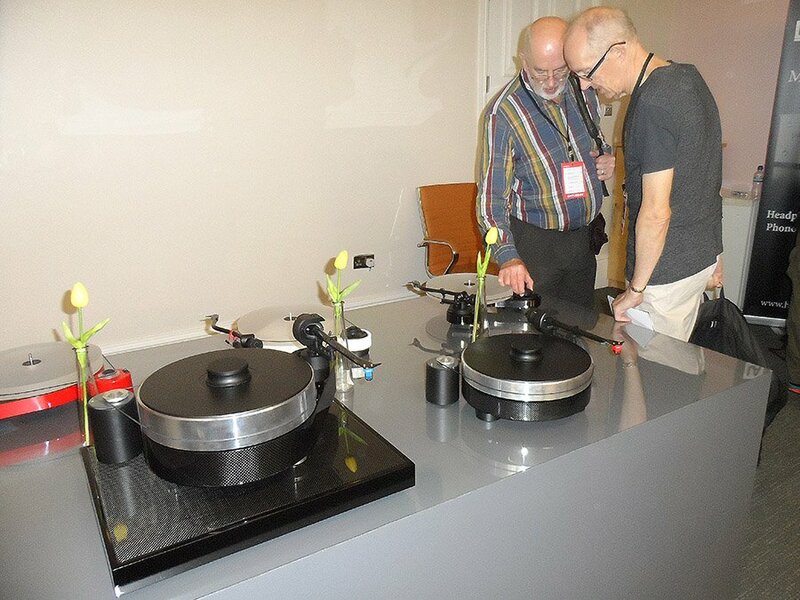 I was thrilled to hear proper music playing in this room in the form of Kraftwerk’s Tour De France album and the whole lot sounded powerful yet refined. 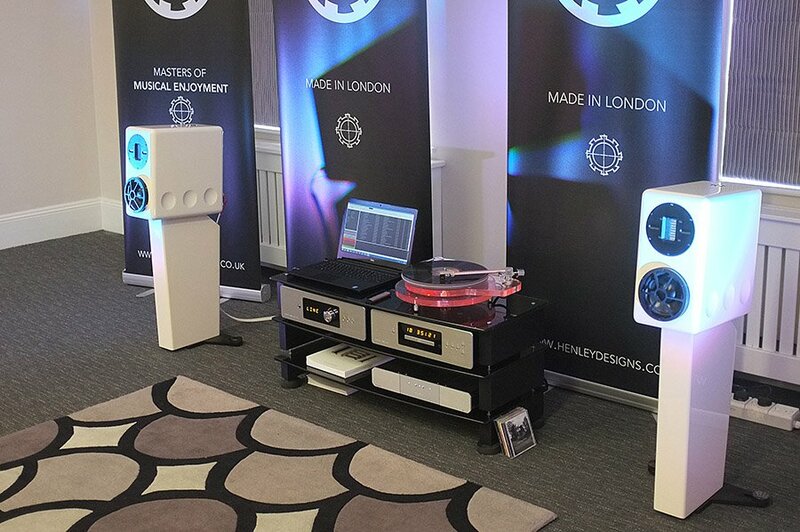 In the third of Henley’s rooms the company were highlighting the Pro-Ject brand headed up by Heinz Lichtenegger who Hifi Pig interviewed in December of last year. 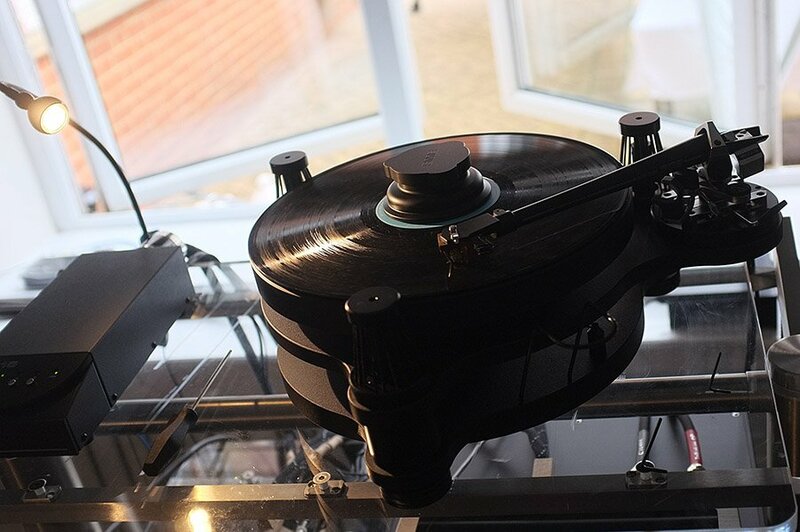 I like the whole concept of Pro-Ject a great deal; they are making real Hifi accessible to a wider market and their Box Design is well made, bijou and sounds great to boot. 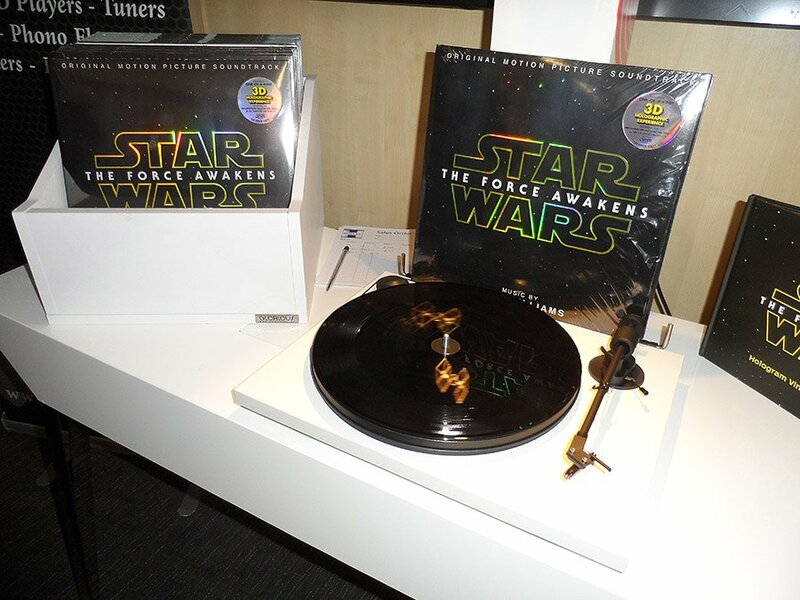 Of course Pro-Jects turntables were out in force as well as a funky vinyl record that when it spins shows spacecraft from the Star Wars film. 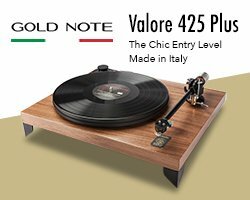 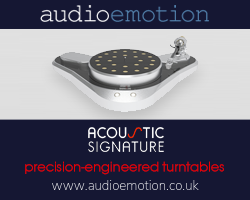 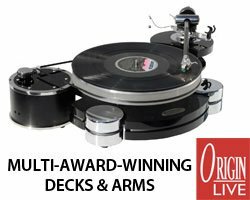 One of the turntables that is creating a lot of interest is their Classic design and their vertical player is certainly a little different. 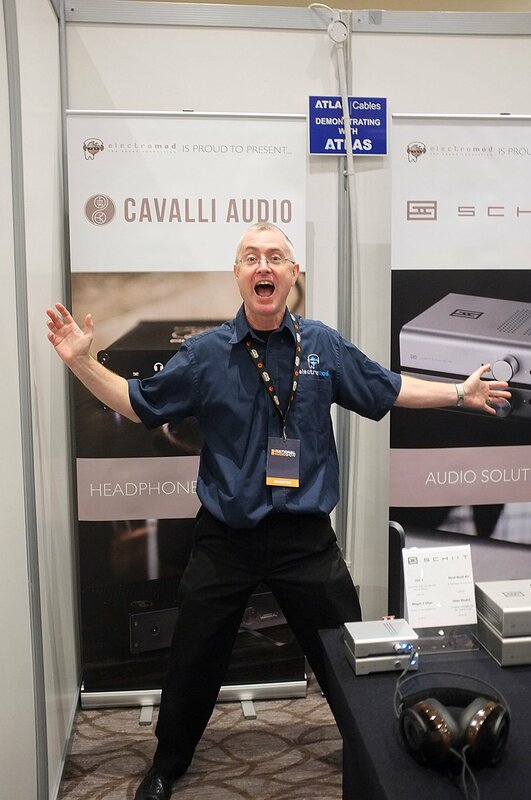 We’ve heard German Physiks loads of times at show and have always been really impressed with their effortless and three dimensional quality and their room at National Audio Show was no exception. 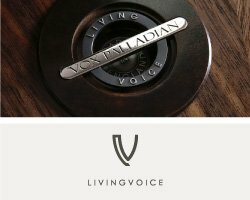 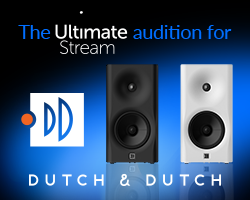 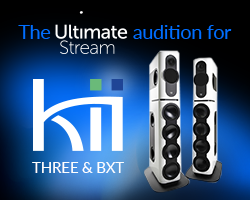 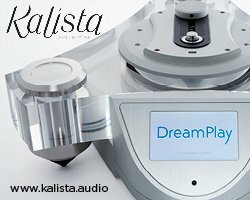 For those that don’t know the brand all their speakers use DDD bending wave driver technology that make them multi-directional to enable a very wide “sweet spot”; in fact you can sit pretty much anywhere in the room and appreciate a very convincing soundstage with these speakers. 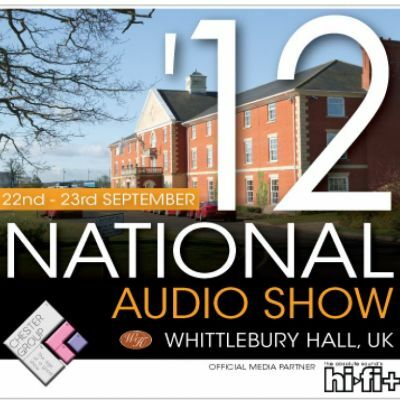 The model on show at Whittlebury were the HRS 130s costing around £14500 a pair. 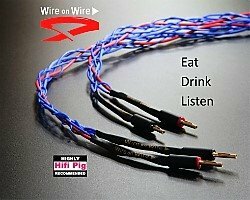 GutWire speaker, interconnect and power cables. 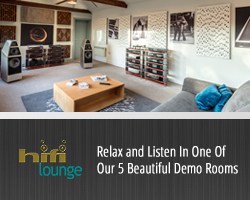 The guys from Audio Emotion put a great room together and put a lot of effort into making it feel a little more homely than the majority of the others. 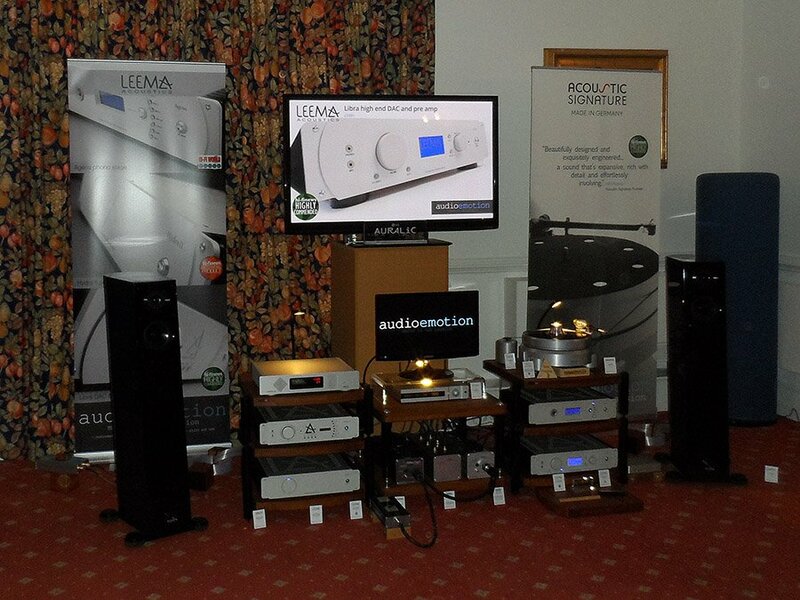 Leema electronics for the main part were partnered with Audio Physic (I believe they were Virgo 25 Plus). 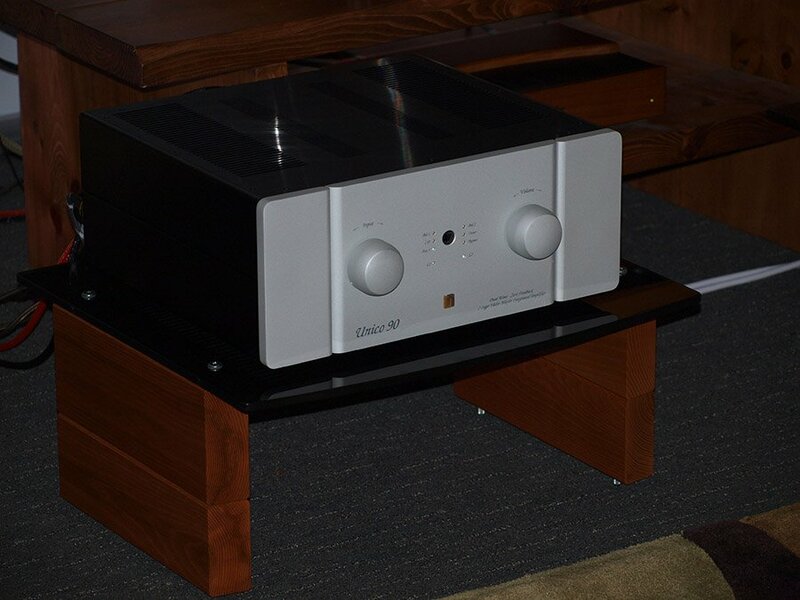 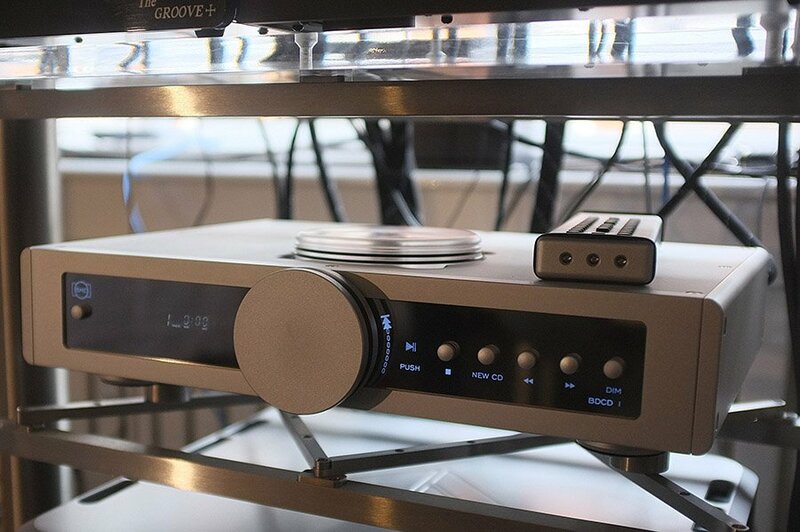 Also in the room was a rather splendid looking turntable from German manufacturer acoustic Signature (Thunder Mk2), an Auralic Altair streaming DAC and a Trigon server. 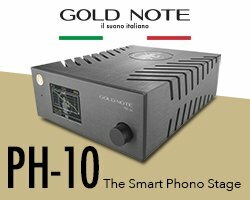 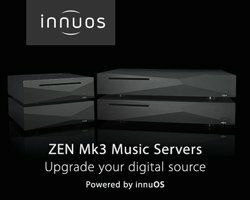 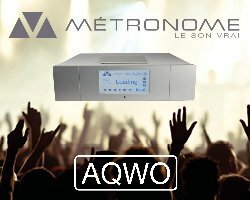 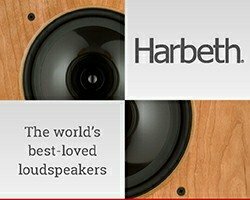 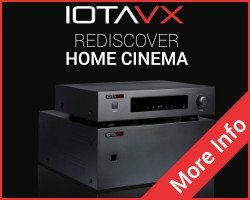 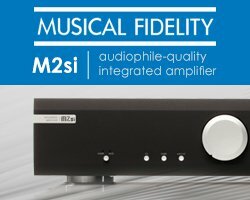 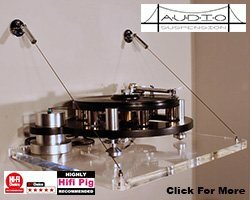 These aren’t cheap entry level products by any stretch of the imagination, but what I think Audio Emotion demonstrated here is that you can get relatively high-end performance from gear that can fit quite pleasantly into the home environment, and without having to take out a second mortgage. 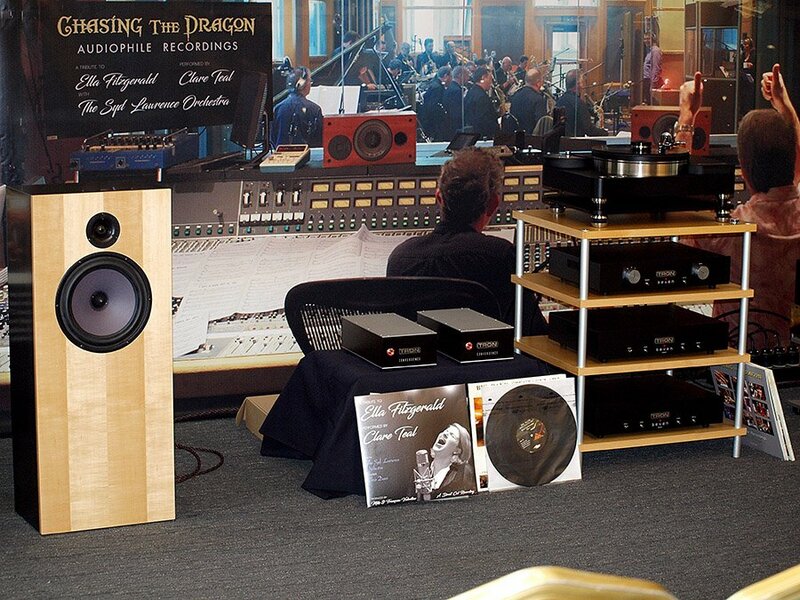 Mike Valentine’s Chasing The Dragon was recently featured in Hifi Pig when Janine elliot was invited along to the direct to disc recording of an album of Ella Fitzgerald tunes performed by The Syd Lawrence Orchestra and sung by Radio 2 presenter Clare Teal and so it was good to see them at National Audio Show. 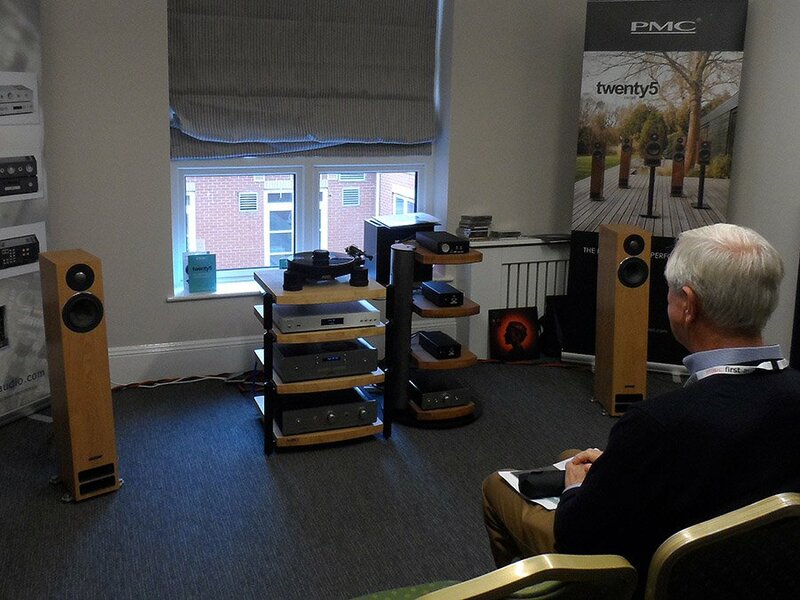 Mike was due to give a lecture in the room but sadly was called away to Malta for a filming assignment, though he did make an appearance by a live link. 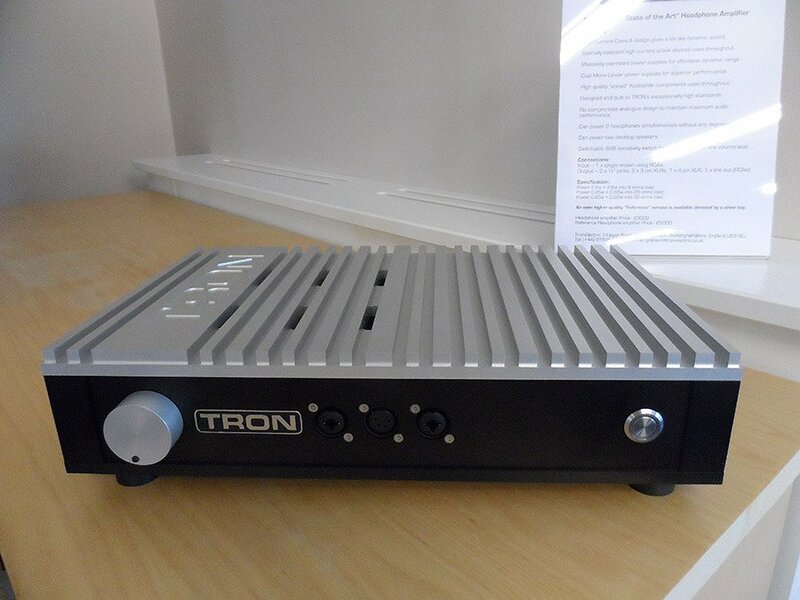 Featured in the room was a whole load of Tron equipment, but the item that really caught my eye was a new headphone amp. 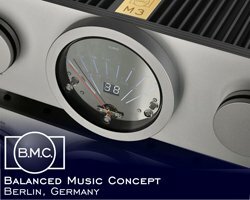 The amp is a high current class A design designed in a dual mono configuration that can power two sets of headphones at the same time. 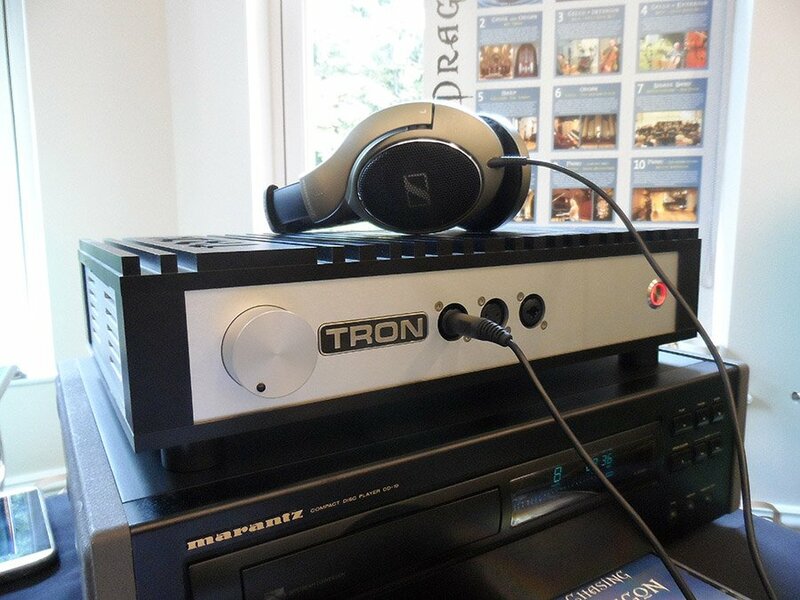 It can also power a pair of desktop speakers. 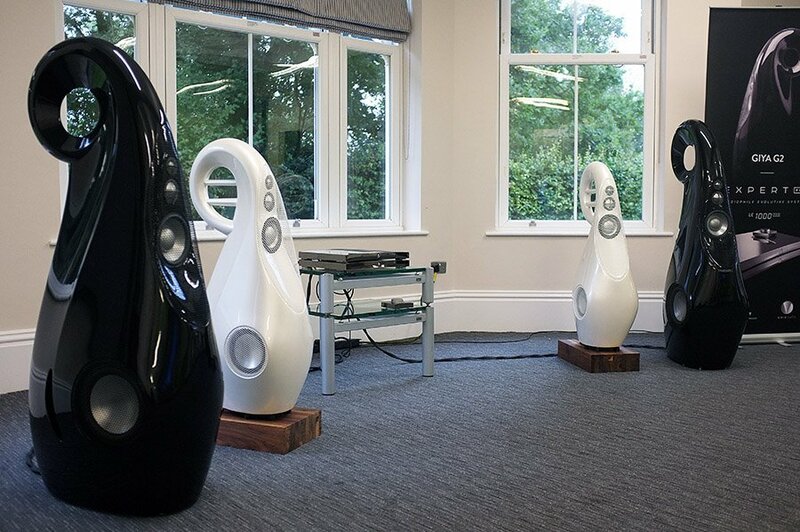 It comes in two flavours, the standard version and the Reference version (the one with the silver top) and costs £3000 and £5000 respectively. 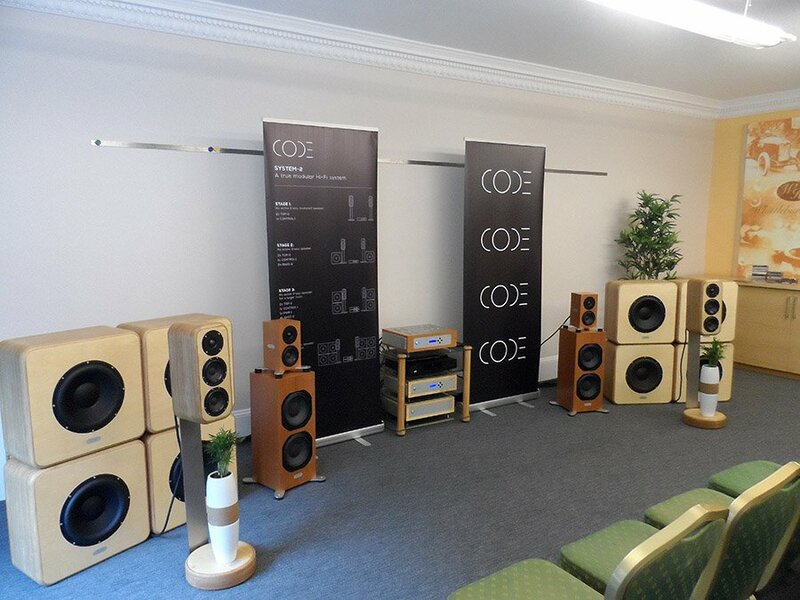 Code are a relative newcomer to the UK Hifi scene having made their debut at last year’s North West Audio Show with their System One active loudspeaker system. 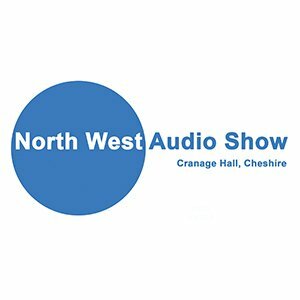 At National Audio Show they were primarily highlighting their new Stage 4 set up which is nothing if not impressive looking, featuring as it does a total of 8 Bass-2 units and 2 Code Top-2 mid and top units. 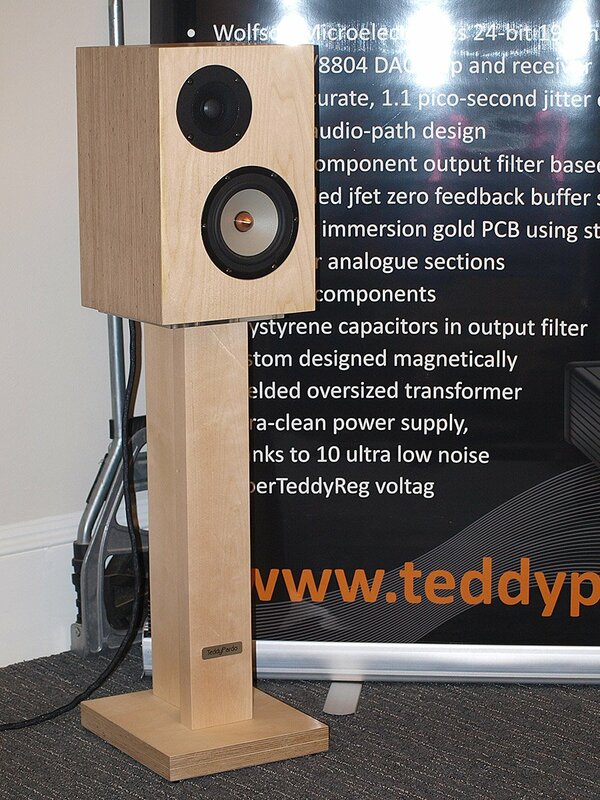 Again this is an active three way design and as well as the speakers you get a Control 1 and a Power 1 unit. 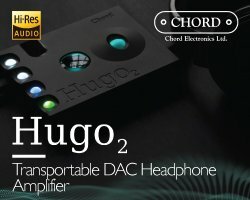 Add a source and away you go. 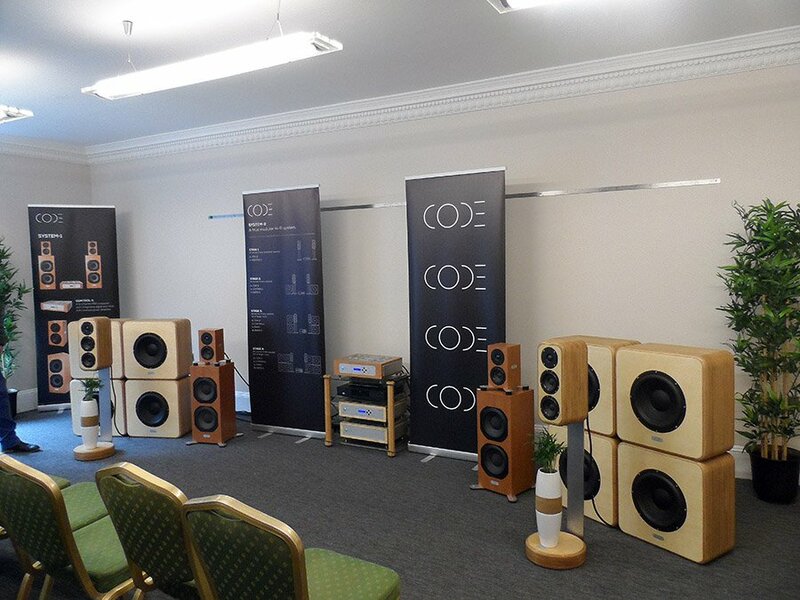 Code were playing some rather nice electronic music from John Hopkins (Immunity) that really played to the systems strengths. 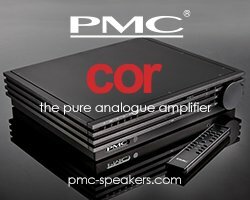 The sound is, to my mind, reminiscent of a really good PA system with more refinement. 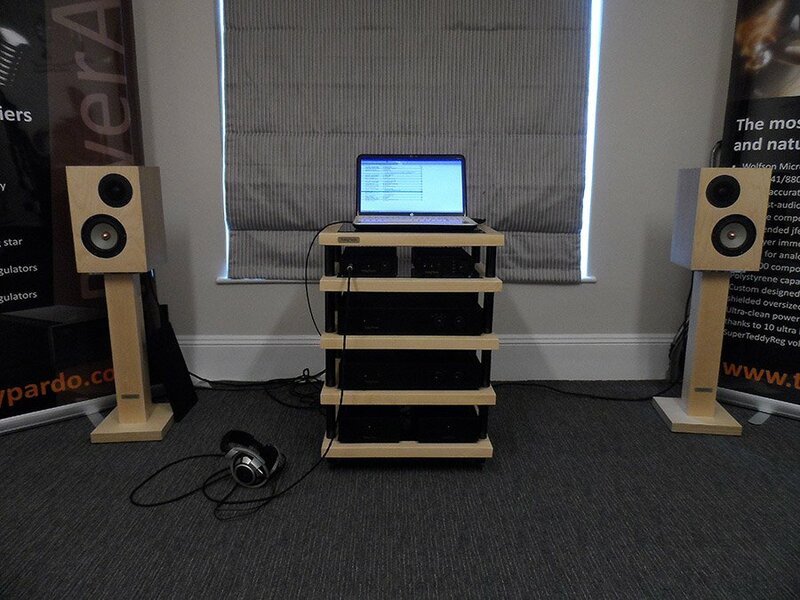 The room wasn’t ideal and there was a bit of boom,but nothing a good set of bass traps couldn’t have sorted. 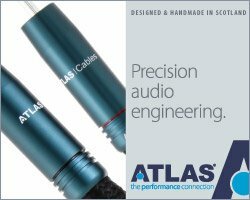 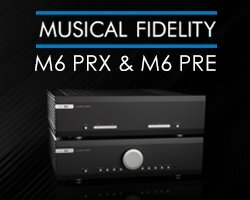 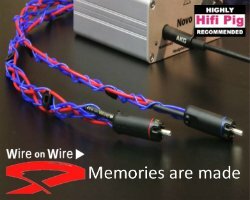 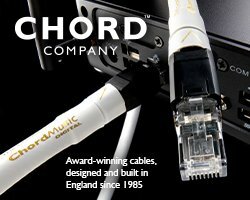 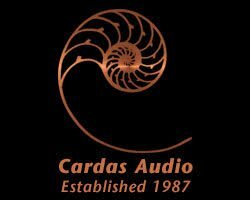 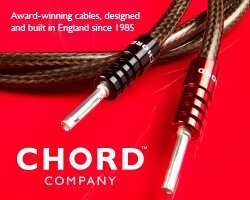 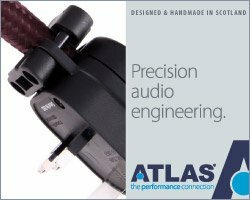 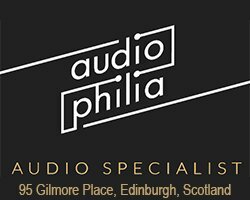 Russ Andrews sell a whole host of tweaks and aftermarket cables for Hifi, and judging by the crowd in the room they certainly seem to be very popular indeed with the paying public. 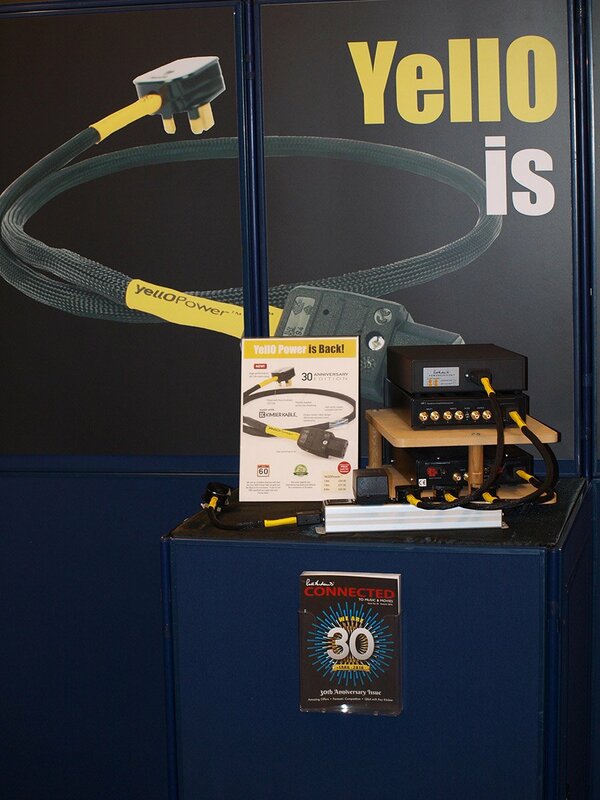 The YelloPower cable, selling at the same price it did thirty years ago was proving very much THE product most in demand, but so were many other products the company had for sale. 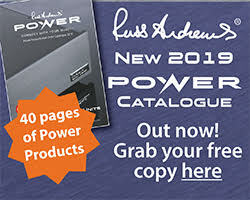 Russ Andrews is celebrating thirty years in the business and seems as well-loved as ever. 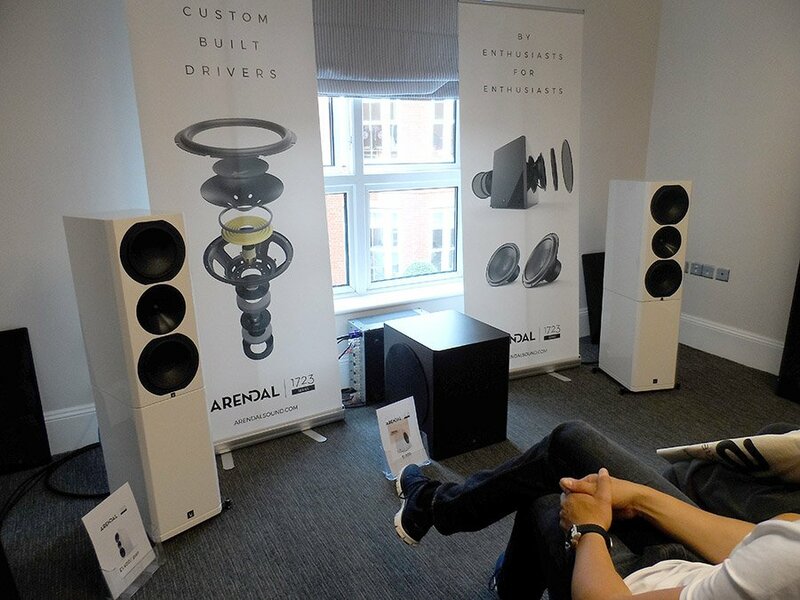 Arendal Sound is a new company to me but it seems they’ve been around a good while in one form or another and are headed up by founder Jan Ove Lassesen. 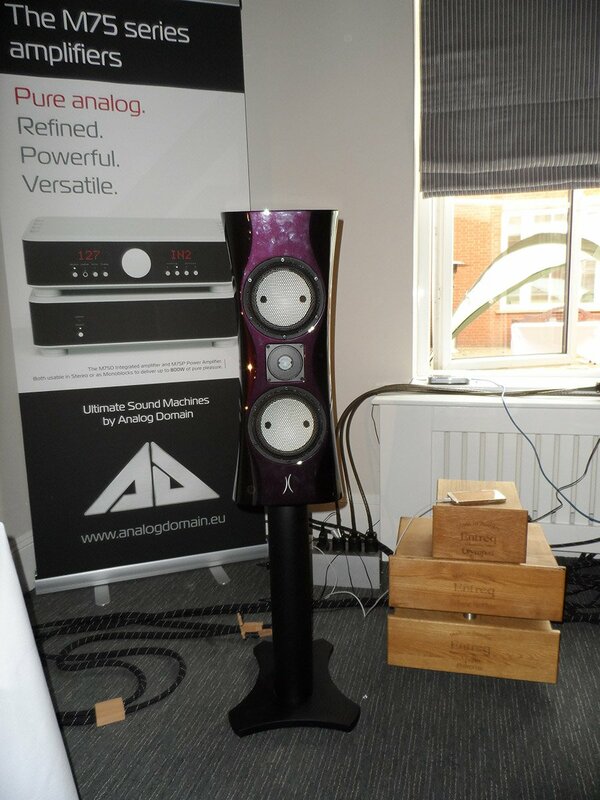 Arendal Sound are based in Norway (Arendal) and produce a range of speakers, all with the name 1723. 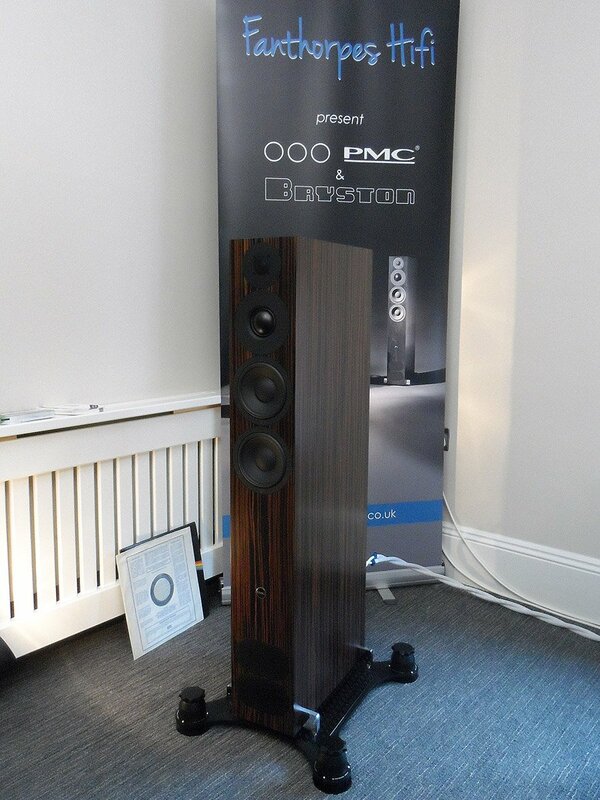 There’s the 1723 Tower, the 1723 Center, the 1723 Surround, but being demonstrated today was the 1723 Monitor and one of the three versions of the 1723 Sub. 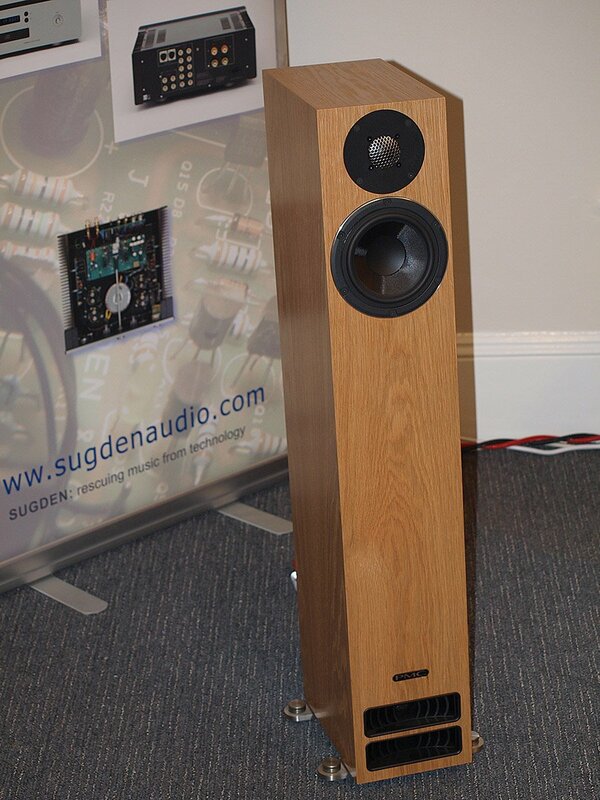 The Monitor is in the configuration shown at National Audio Show a sealed enclosure that has two eight inch woofers and a 28mm tweeter with the enclosure being made of high density fibreboard. 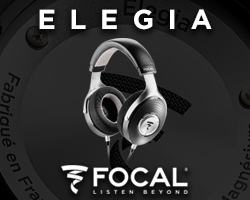 Sensitivity is 89dB and in the sealed variant will go as low as 58 Hz, whereas the ported version will go down to 34 Hz. 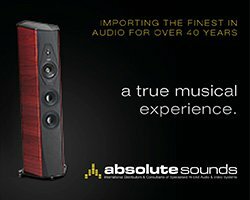 Prices shown on the day were a little confusing as they were the dealer price, however, this still seemed to be a good deal of loudspeaker for your money. 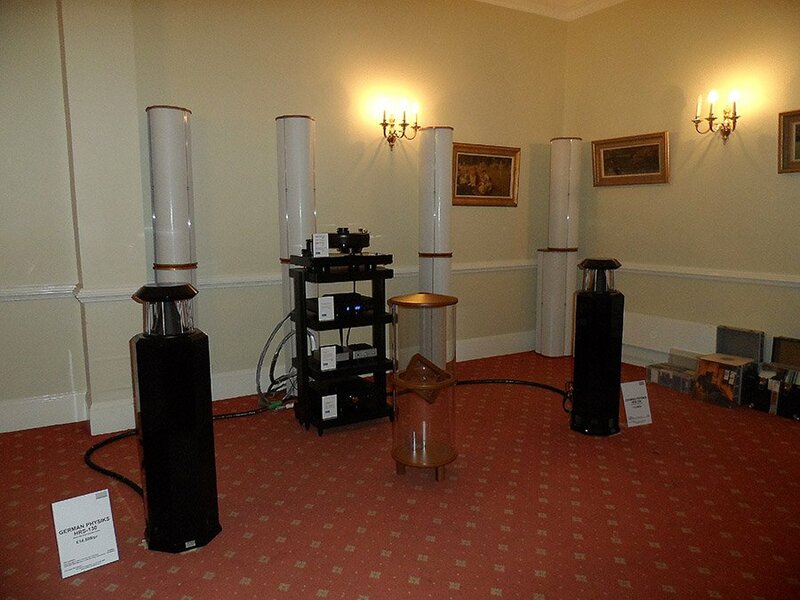 Interesting sounding room I thought, with a full system of Teddy Pardo electronics and his SP-1 loudspeakers. 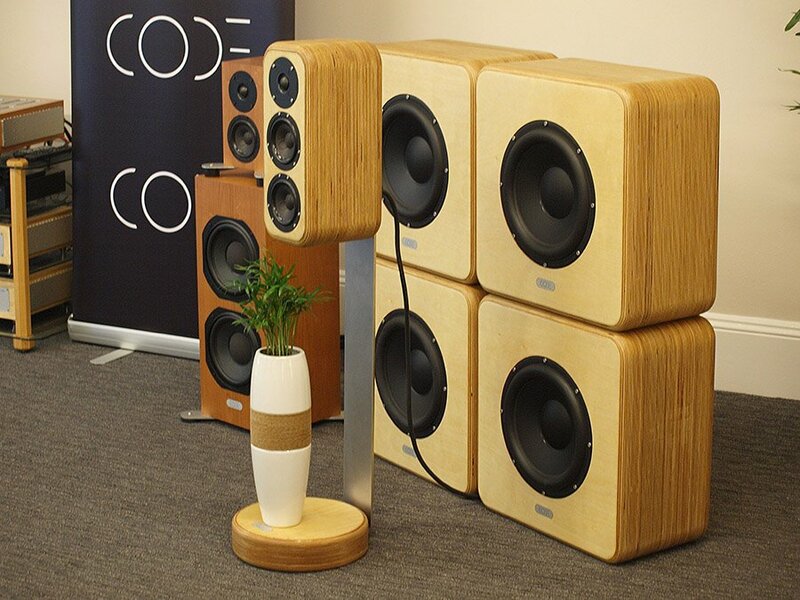 For such a small design these speakers really did make a big sound and the whole set up was very home friendly. Based in Hull in the beautiful Hepworth’s Arcade, Fanthorpes have been selling audio gear since 1948 and stock over fifty brands. 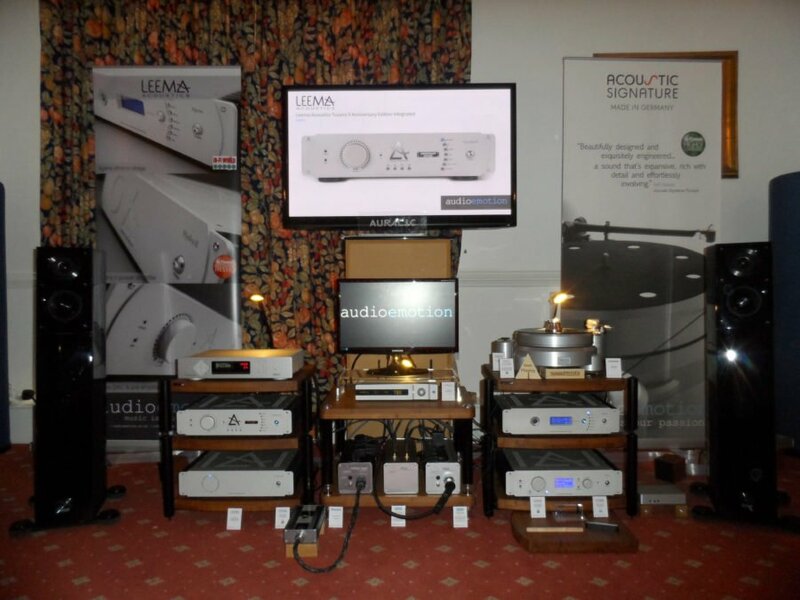 At National Audio Show they had two rooms opposite each other with each having quite different systems. 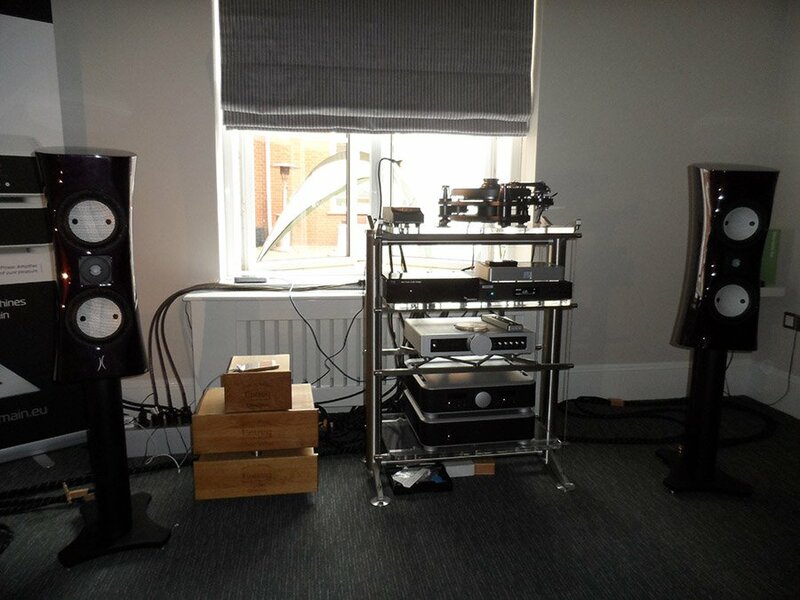 In the first room they had the terrific Melco unit playing directly through a Chord Electronics Dave DAC into the Bryston BP26 preamplifier which fed the signal to a pair of Bryston monoblocks, which in turn went into a pair of PMC Fact 12 loudspeakers sat on Tosnhend Audio speaker platforms. 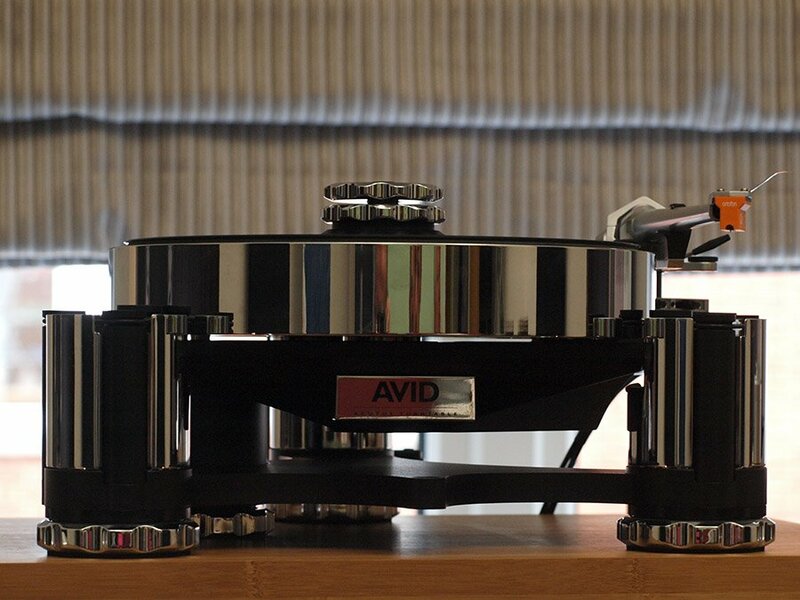 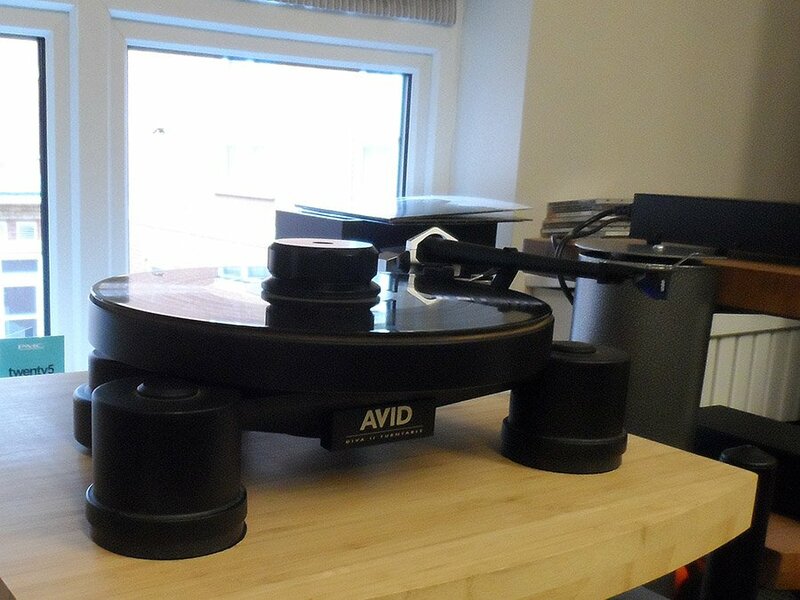 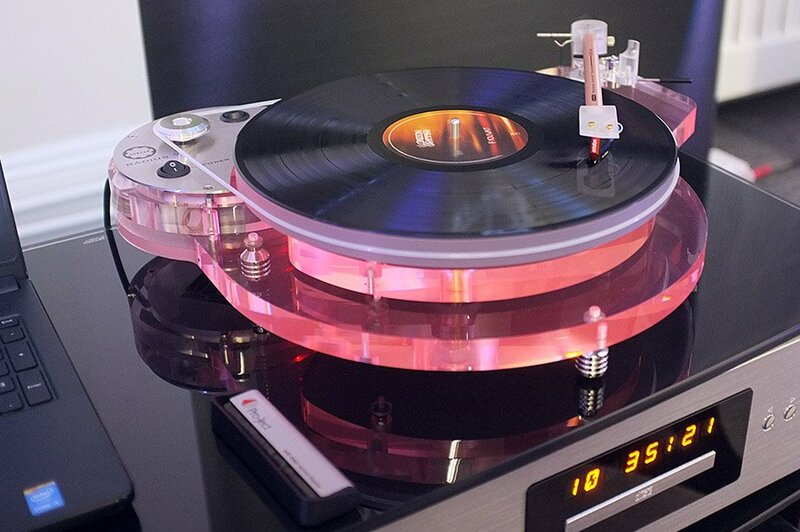 Covering analogue duties was a rather splendid Avid Hifi turntable using an Avid Pulsare 2 phonostage. 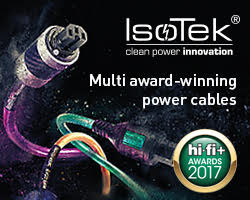 Power conditioning was by IsoTek. 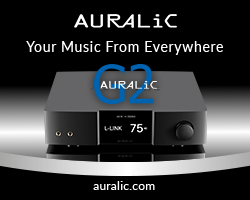 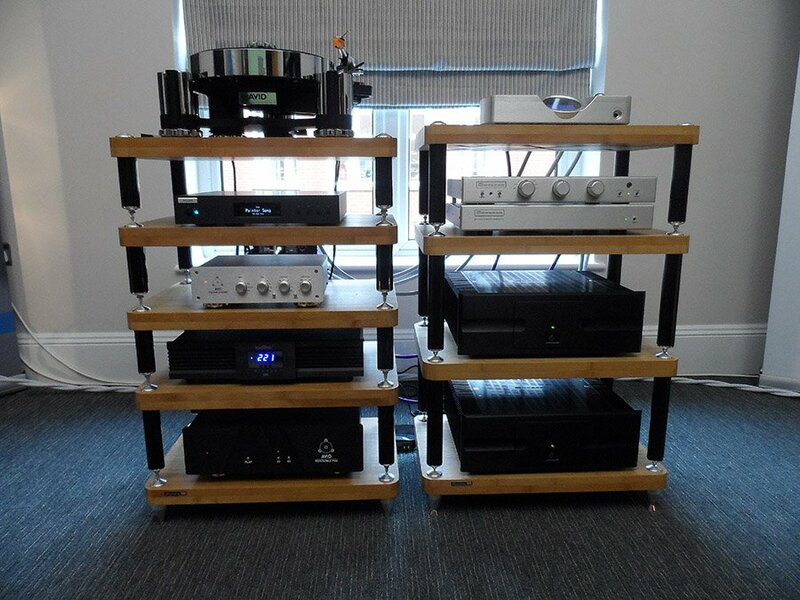 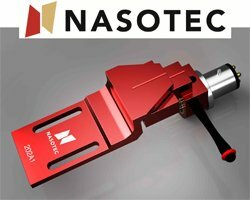 All in all a very high end system! 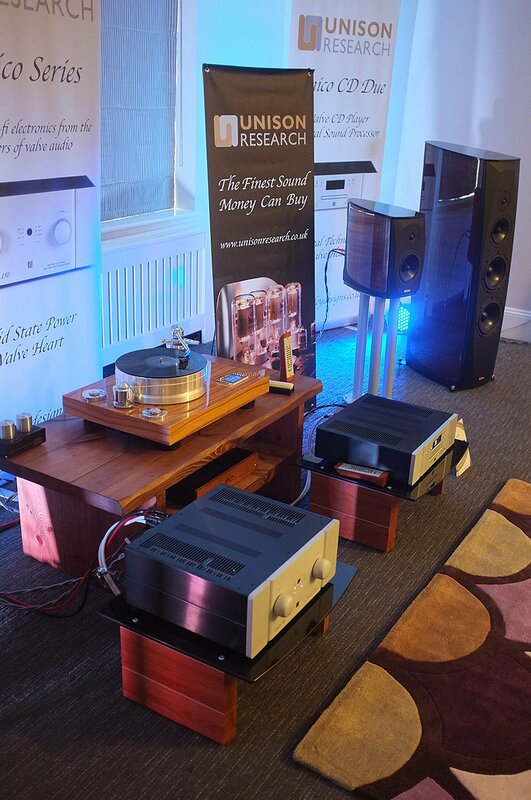 On the other hand Fanthorpes other room had a more modest system playing which consisted of another Avid turntable, this time the more affordable Diva II, along with Sugden electronics and PMC twenty 5.23 loudspeakers. 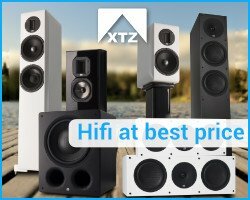 This was an interesting exercise in showing how a retailer can put two systems together at different pricepoints for customers and yet still achieve great results. 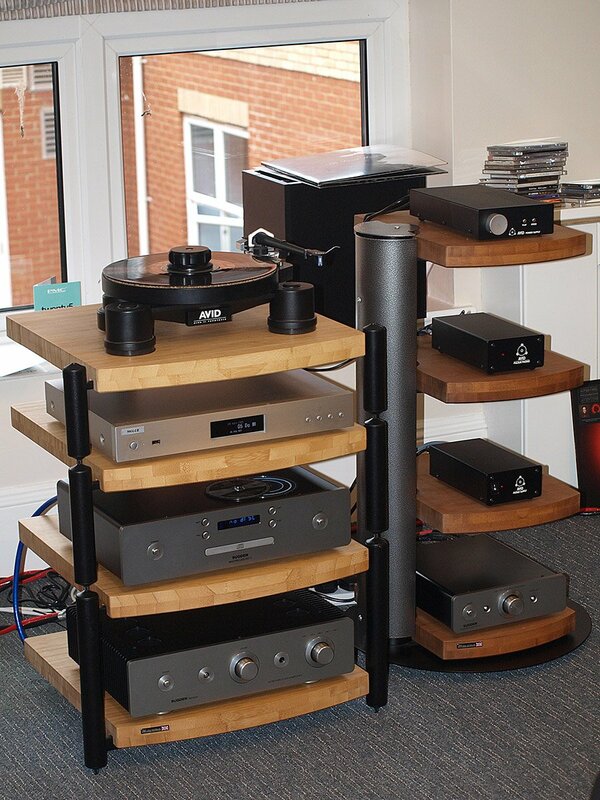 It also demonstrates just how important the bricks and mortar hifi retailer is.